Many people take a plane when they go on vacation, and some drive to their destination in their car. There is another way to journey out of town, and if you’re not into roughing it on vacation, then we’d love to introduce you to our Class A RVs. These are top-of-the-line motorhomes that feature fully-equipped kitchens, furnaces, air conditioning, comfortable sleeping arrangements, HDTV and all the comforts of home. When you own one of these RVs you can go anywhere; whether it’s a short jaunt to a favorite local spot or clear across the country. What’s been stopping you from purchasing a Class A motorhome? If it’s price, Pedata RV Center wants to talk to you. 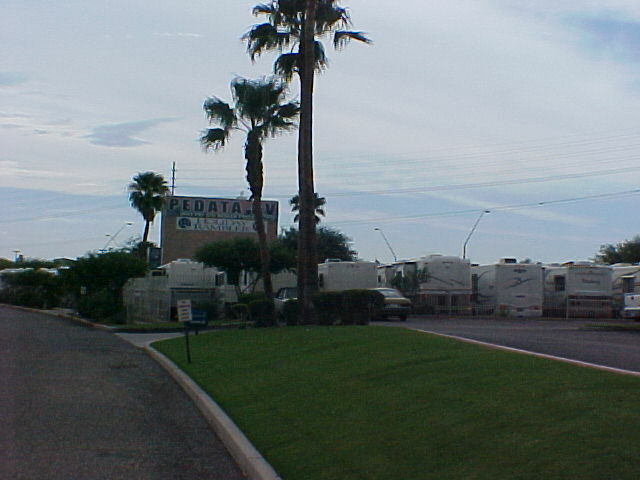 We sell quality used RVs at our Tucson, AZ dealership that will surprise you. They are low mileage, super clean motorhomes that offer all the benefits of new. Our RV experts search high and low throughout the nation to find the cream of the crop — we only sell the very best Class A motorhomes that you’ll be proud to own. Plus you’ll be able to brag to your friends about how much money you saved buying from Pedata versus purchasing a similar RV locally. 2013 Thor Motor Coach Daybreak 28PD w/2slds — Super clean, furnace, air conditioning, HDTV, power awning, tinted windows, pleated shades. 2008 Tiffin Allegro Bay 37QDB w/4slds — Furnace, air conditioning, alloy wheels, power awning and entrance step, thermal pane windows, Corian countertops, power seats and much more. When you shop with Pedata RV Center you will find quality used RVs like this and others which are even bigger and more feature-rich. These are super clean models that run great and save you significant cash over buying new. A whole new world of vacation possibilities awaits you! Start your RV search on our site then visit us to save thousands on a great used Class A motorhome.